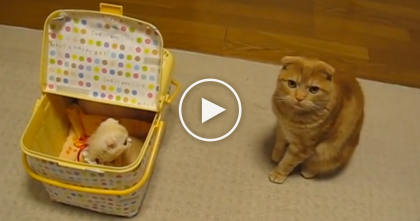 Human Tries To Leave Kitty, But Watch What This Kitty Does To His Arm… OMG, This Is Priceless!! 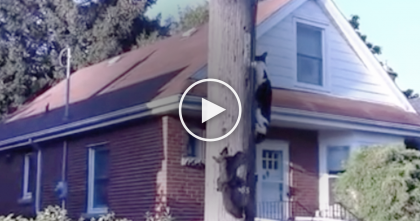 This kitty sees his human trying to go away, so what he does to stop him? LOL this cat won’t stop at anything! The white fluffy cat wraps his whole body around his human’s arm, refusing to let go! The cat is absolutely determined to hang on. Even when his human tries gently shaking him off, he clutches on even harder! Awww, lol, you’ve got to love this kitty’s spirit. 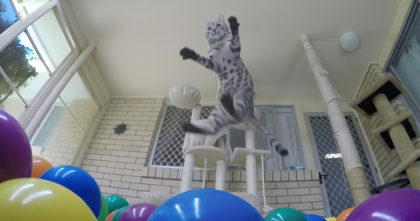 Kitty Discovers Colorful Mini-Ball-Pit For The First Time, Then Reacts In The Best Way Ever, I Love It! 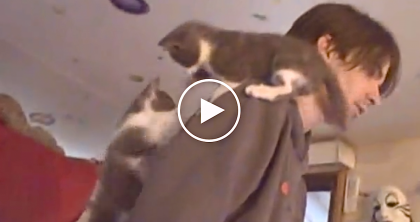 Kittens Climb On Human Dad, But Later That Day? When You See It… AWWW!! She Opens The Door To Let The Cat In, But WATCH What Happens Next… Oh Dear! !